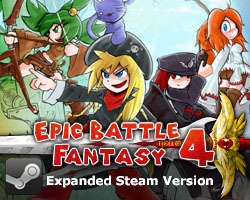 A bunch of guys made an unofficial hacked Russian version of EBF4. 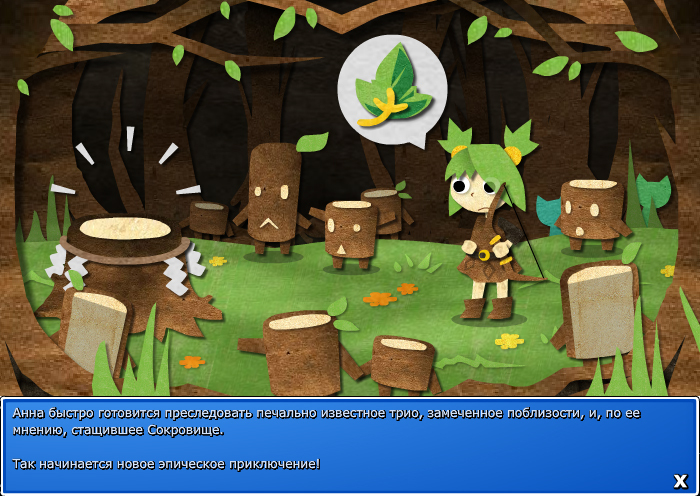 While I’m not super happy about sharing a hacked version, I don’t have plans to make an official Russian translation of EBF4, so here it is. 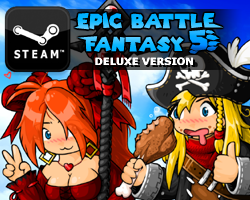 Anyone interested can have a look at it and tell me if you think they did a good translation, as I might get the same guys to work on the official EBF5 translation later. Feedback is appreciated! You can download the .exe file here. This entry was posted in Epic Battle Fantasy 4 on May 8, 2018 by Matt Roszak. Grab them without a doubt. ZERO mistakes. Nice writing style. Always will be glad to help, too. Why not? Russians should play your masterpieces as well! Tried a bit. Seems ok, though I’d prefer to alternate few things about it. Huge respect to you Matt, most big game developers would just sue them without a second thought but you even shared their work, and you’re willing to offer them a job! Glad the corruption hasn’t got you. Didn’t read further than equipment descriptions and in-battle dialogue. Not sure how should I react to replacing certain unlikely-to-be-understood references with dumb local jokes. Anyway, besides destroying the original meaning (or any meaning at all) of a few dozens of phrases, frequently mixing up genders and using rather inconsistent terminology (I don’t wanna count how many variants there are for HP and “non-elemental”), it’s pretty good and accurate… except those times when a part of original text is left out for no reason, as well as when things are simply translated wrong. But hey, at least the author is able to spell words and knows punctuation, so it’s partially readable and perhaps even enjoyable. I’ll hope they can improve and also learn to check what’s the context. Yeah, the official translations have the advantage of me helping out with advice and notes, which I guess might have helped a bit here. Okay, I played it for a ~1.5 hours. I looked at menus, dialogues, descriptions and many other things and some parts of them translated at good level, some others are strange but “okay”. But sometimes I’ve seen some really weird translations and just wrong punctuation, orthography and etc. In some places text doesn’t fit correctly and some fonts decisions aren’t bad but strange too. I don’t want to say that is a really bad translation, but half of this is really ridiculous. I’m not a professional translator(and not very good at English speaking, sorry if I said something wrong), but I think it really needs a lot of fixes and polishment. Ok, this translation is good enough to play for those who aren’t good in English, but I still prefer the English variant more. (Because the original is always the best in case of game translation). Sadly (for me) I can not offer my help with translation, since i have not enough time. But I’d like to help you test translation and correct mistakes, when it will be completed enough. Well, there are rare mistakes (mostly punctuation) and misinterpretations of some words with multiple meanings, but correcting the text of that level of quality should not be a problem for volunteering community. Especially with the feedback from the creator on arguable issues. Nevermind, after more thorough look I have found quite a few errors and mistranslations. Still, I stand by my point that correcting all the text should not prove too difficult. Yeah I wish they did not try to butcher the original jokes with local nonsense, and also trying to adapt the English jokes into (other languages?) Russian usually ends up a complete cringe. I don’t think the market is that big but if you ever need a Korean translation just let me know! Ofc we need translation, be sure. The quality is quite acceptable for an unofficial translation and deserves publication, but there is something to be improved from a literary point of view.